TADA’s less tangible, indirect impact has grown non-stop the past few years. Many say their experience at our weekend school moved them. Others testify to have been affected by our keynotes/workshops. Some got even triggered to launch similar initiatives inspired by TADA. It is not easy to keep count of TADA’s indirect impact. We do keep track of how TADA has raised awareness. TADA gave keynotes at over 15 prominent events covering topics such as education, philanthropy or entrepreneurship. Please find below a couple of initiatives that illustrate how TADA has inspired others. Kiddybuild is a private initiative form the BESIX-group. 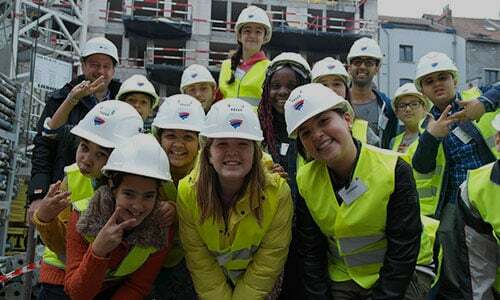 Through Kiddybuild, the construction company BESIX invites every year hundreds of children from socially vulnerable neighbourhoods on their wharfs. They participate to interactive and practical workshops in order to make them discover the world of construction. TADA supported BESIX in the set-up of Kiddybuild. Primary school Paviljoen, with as principal (former TADA-colleague) Sven Moens, is a school in Schaerbeek that is “society-oriented” just like TADA. Digitalisation, entrepreneurship and the development of the identity of each kid – through connection with the reel world – is central in their pedagogic approach. Paviljoen, just as TADA, attaches also a lot of importance to the “growth mindset” and the principals of “solution focused approach” such as developed by Ilfaro in Belgium. Till today TADA works in close collaboration with Sven Moens in order to develop this approach and these values in his school. 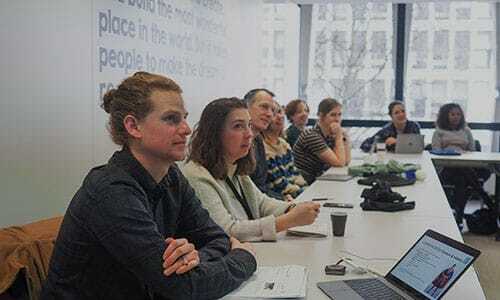 On request, TADA also gives practical, interactive workshops or keynotes about our way of working on diverse themes such as for example the themes of “the growth mindset”, “the solution focused approach” and “the importance of positive relations and connections in the development of a human being”. Want to know more? e-mail us: info@toekomstatelierdelavenir.com. 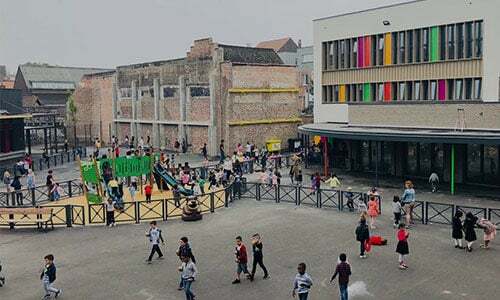 Non-profit organisations such as “TAJO“ and “Ikigai – L’école du samedi” are weekend schools inspired by TADA and IMC Weekendschool. Both initiatives are independent but there is an informal collaboration. We wish the founders in Ghent and Bordeaux a lot of success! Want to know more? e-mail us: info@toekomstatelierdelavenir.com. Many of our (former) colleagues testify that being part of the TADA-team is an intense experience that enriches you a lot. Some of them who are currently working in the classical educational system, explain how TADA has inspired them in their daily jobs at the traditional school. Indeed: plenty of the elements specific to the TADA-approach can also be applied elsewhere, such as in a regular classroom. Would you like to know more about some support or collaborations with TADA ?